Fall is a heavy season for truancy courts. 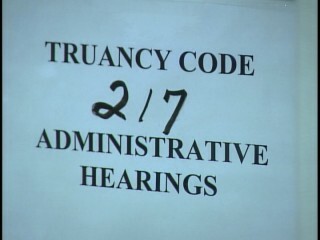 Truancy court is a place where the school and the court systems converge. In truancy proceedings, it’s important to safeguard both the due process rights of youth and their best educational interests. In several places around the state, pilot projects aimed at keeping more youth in school and out of court are moving into their third and fourth years. In other places, school districts still rely heavily on the courts and file petitions against students who have met the minimum number of unexcused absences required by statute – without having taken any steps to figure out why the student is missing school and whether there are ways to get the student back to class. Last year, the ACLU and others wrote briefs supporting a child’s right to have an attorney when the child is called into court by the school district on a truancy petition; the Court of Appeals unanimously agreed. Students' attorneys are making motions to have these cases kept out of the courts - at least until the school has taken steps to try to identify the causes of a student's absences and address those causes. The ACLU and TeamChild’s manual, Defending Youth in Truancy Proceedings, includes suggestions and information for attorneys making these motions. Fewer truancy petitions means more court time for other juvenile matters, less time in court for busy school district representatives, and a smaller caseload for the public defenders. And in many cases, where the steps the school takes are working, it means the student is in class instead of in court. That is how our state's truancy law should work. Unfortunately, the funding structure for truancy effectively penalizes schools that don't file petitions. Under current laws, much of the funding for truancy goes to county courts, and schools districts only receive funds if they file petitions: the more petitions filed, the more funds the district can claim. This year, legislators will be considering various ideas for re-working our state's truancy laws. There will likely be debate over the benefits of court involvement in truancy matters and questions about whether schools receive adequate funding to implement effective responses to reduce truancy. Each child in our state has a constitutional right to an education. It is the state's obligation to make ample provision for that education. If the state is going to take a child to court for missing school, it must ensure that the court process is fair and reliable. Kids shouldn’t be jailed for missing school.